Your odds of having osteoarthritis increases with age — that part is true. 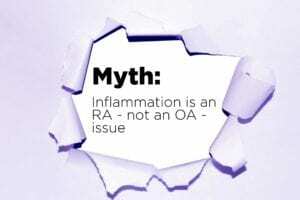 But OA is not a “normal” part of aging, and older people aren’t the only ones who get osteoarthritis. OA occurs when the cartilage that cushions and protects the ends of your bones gradually deteriorates, often from mechanical stress or chemical changes within the body. This allows the bones in a joint, such as your knee, shoulder, or wrist, to rub together, leading to pain, stiffness, and swelling in the joint. Aside from age, other factors that up your osteoarthritis risk include obesity, a family history of osteoarthritis, a previous joint injury, or repetitive use. Research suggests younger adults get OA, too: One study showed they are more likely to get knee and hip osteoarthritis, usually as the result of a joint injury or abnormal joint structure. Before age 45, more men than women have OA; after age 45, osteoarthritis more common in women. For some, OA is relatively mild and doesn’t get much in the way of everyday life. For others, however, the pain and stiffness are so severe that daily tasks become difficult or going to work impossible. OA is a leading cause of disability and the number-one reason patients need joint replacements, says Christopher Morris, MD a rheumatologist with Arthritis Associates of Kingsport, in Tennessee. “It also carries a significantly increased risk of morbidity and mortality,” he adds; knee OA increases the risk of falls and their resulting complications, and research suggests OA is a significant risk factor for the development of cardiovascular disease. Watch this video with rheumatologist Lee Simon, MD, to learn more about serious, progressive osteoarthritis. No doubt you’ve been told this a million or so times. Scientists actually looked into it and found no evidence that habitual knuckle-crackers were at an increased risk of developing hand OA. The pop of a cracked knuckle is just an air bubble in your joint fluid bursting. Doing it often won’t damage your joints, but research suggests over time, it may lead to reduced grip strength. And it’ll likely annoy the people around you. Read more about the fascinating science behind busting the knuckle-cracking myth here. Damp weather does not cause arthritis, nor will it make the condition worse. But if someone with OA says they can feel it in their joints when rain is coming, they’re not lying. Though there’s no hard-core science to explain why, the theory is this: barometric pressure often drops before a storm; this shift could allow body tissues to expand, which can lead to swelling and pain. The effect of outside pressure changes on our body is slight, but people with arthritic or inflamed joints may detect the difference. Some research suggests temperature may impact joint pain as well. A study published in the Journal of Rheumatology found in people with OA, the effect of humidity on pain was stronger when the weather was colder. Here’s why more research on the tricky connection between weather and arthritis is needed. “The word ‘arthritis’ means inflammation in the joint,” explains Dr. Morris; “essentially all arthritis diseases have some degree of inflammation.” Rheumatoid arthritis is a chronic inflammatory condition that occurs when your immune system mistakenly attacks your own body’s tissues. 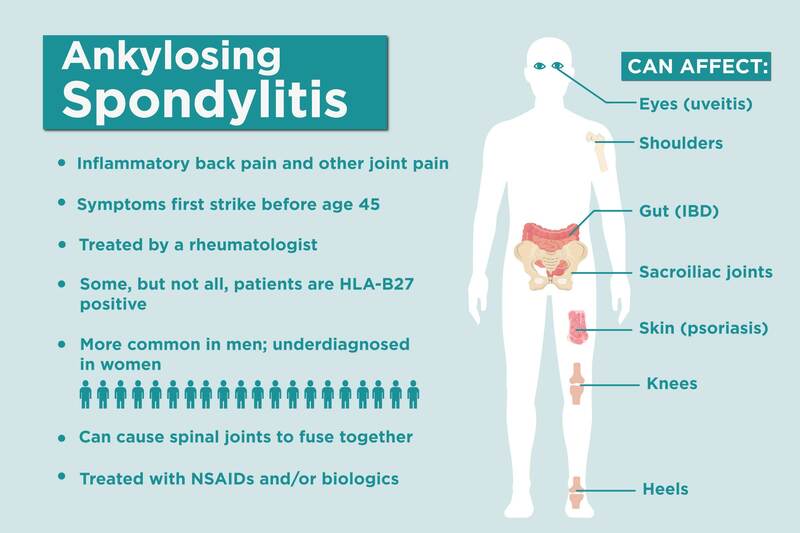 But studies have shown there are pro-inflammatory proteins called cytokines present in the joint fluid in osteoarthritic joints, says Dr. Morris. Acetaminophen, which doesn’t lower levels of inflammation, is the usual first treatment for mild OA, but many patients respond better to NSAIDs, or non-steroidal anti-inflammatory drugs, adds Dr. Morris. Naturally anti-inflammatory remedies like turmeric and curcumin have also shown potential benefits in research studies on arthritis symptoms. The idea behind this folk remedy is that the oil from juniper berries, which gives gin its flavor, as well as the golden raisins themselves are both rich in antioxidants, which have anti-inflammatory properties. 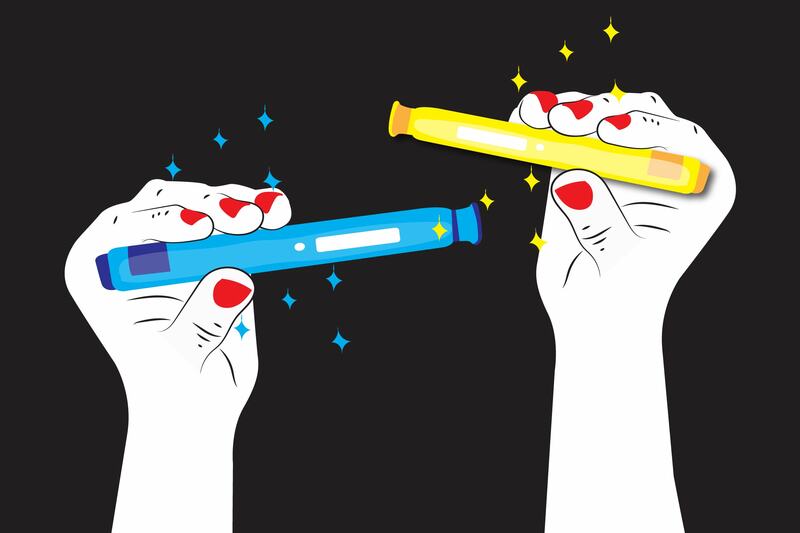 When combined, they theoretically provide arthritis symptom relief. What you’re supposed to do is soak golden raisins in gin for a week or two, then eat seven, or nine, or 10 every day. Sounds fun, but there’s no science to back the arthritis pain-easing effectiveness of “drunken raisins.” Instead, focus your energy on consuming a balanced, healthy diet that’s rich in fruit and veggies. (Try these tips to cut out sugar from your diet.) And if you’re still considering giving this or other home remedies a try, talk to your doctor to make sure it’s safe for you. If you like how a copper bracelet looks, by all means wear it; but don’t expect any arthritis pain improvement from it, says Dr. Morris. Sellers of these bracelets suggest that tiny amounts of copper rub off the bracelet and onto the skin, which gets absorbed it into the body. They claim the copper can help reduce inflammation and regrow joint cartilage. “Studies have shown, however, that the presence of the copper substances has no effect whatsoever on osteoarthritis,” says Dr. Morris. Fact: You certainly can and most definitely should be physically active when you have arthritis. Exercise increase your endurance and strengthens the muscles around your joint, which makes your joint more stable and improves flexibility. Walking, biking, and swimming are good, low-impact options. If you feel any new joint pain, however, you should stop. New pain that lasts for hours after you exercise likely means you overdid it, but doesn’t mean you should stop exercising outright. Start back up a day or two later at a slightly lower level of intensity. Always talk to your doctor before starting any new exercise regimen. Obesity not only raises your risk of developing OA, but being overweight may accelerate also your arthritis progression. That’s because the more weight that bears down on a joint, like your knees or hips, the more stressed it becomes and more likely it is to wear down and be damaged. Plus, fatty tissue produces hormones that promote inflammation. But even a little weight loss makes a difference. Every extra pound of weight you carry increases the force on the knee by three to six pounds with each step. So dropping, say, 10 pounds can reduce 30 to 60 pounds of pressure on the knees, and ease pain. It’s true you can’t change some of the things that up your osteoarthritis odds — like your age, genes, being born with a joint deformity, or enduring an old high school running injury. But you can lower your osteoarthritis risk by staying active and maintaining a healthy weight. Certain jobs include tasks that put repetitive stress on a particular joint, which may eventually develop osteoarthritis. Wearing braces or other devices may immobilize or support your joint to help ease pressure. Not the case. While there is no cure for osteoarthritis, symptoms can be effectively managed through a combination of weight loss and exercise, nonprescription and prescription medications, physical therapy, and possibly other complementary and alternative therapies. Only when conservative measures don’t help, or the joint has serious damage, your doctor may discuss arthroscopy (repair of the joint done through small incisions), or joint replacement.